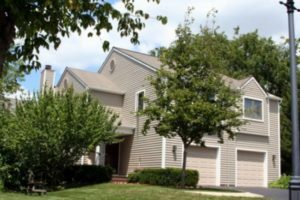 Kelly Green Commons is a nice Ann Arbor complex with a tranquil setting situated near many conveniences, the contemporary units offer a variety of choices and layouts. There are currently no condos listed for sale and so far this year, 3 have sold. $235,000. 1400 Patricia, Ann Arbor. 1200 sq. 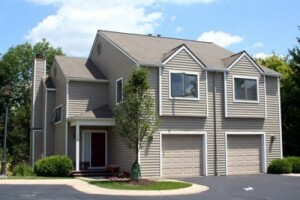 ft., + 600 in finished lower level, 4 bedrooms and 2.1 baths. $215,000. 1490 Patricia Ave., Ann Arbor. 1200 square feet with 2 bedrooms and 1.1 baths. $195,550. 2655 Miller Rd., Ann Arbor. 1180 square feet with 2 bedrooms and 1.1 baths. Last year at Kelly Green Commons, 3 condos sold with an average sale price of $198,167 and an average price per square foot of $158.00. The 3 condos sold this year have an ASP of $215,183, up 9%, and an A$/SF of $180.00, up 14%. To learn more about condo values at Kelly Green Commons, contact the real estate specialists with The Bouma Group at (734)761-3060 or email info@bouma.com. View more Ann Arbor condominiums here! Kelly Green Commons, Ann Arbor are duplex style units located on the west side of town in a residential setting. There are currently 0 units for sale and so far this year, 1 condo has been rented. $1425/month. 1200 square feet with 2 bedrooms and 1.1 baths. Last year at Kelly Green Commons, 1 condo sold for $140,000 and had an average price per square foot of $98.59. Due to the small size of Kelly Green Commons, condos don’t come up for sale too often. To receive instant notification of new listings or to learn more about these Ann Arbor Condos, contact The Bouma Group today at 734-761-3060 or info@bouma.com. And for up-to-the-minute listing and sold information for all Washtenaw County Condos, visit the Ann Arbor Condo Hotline here!